One In A Million: Picture Perfect Double Whammy! 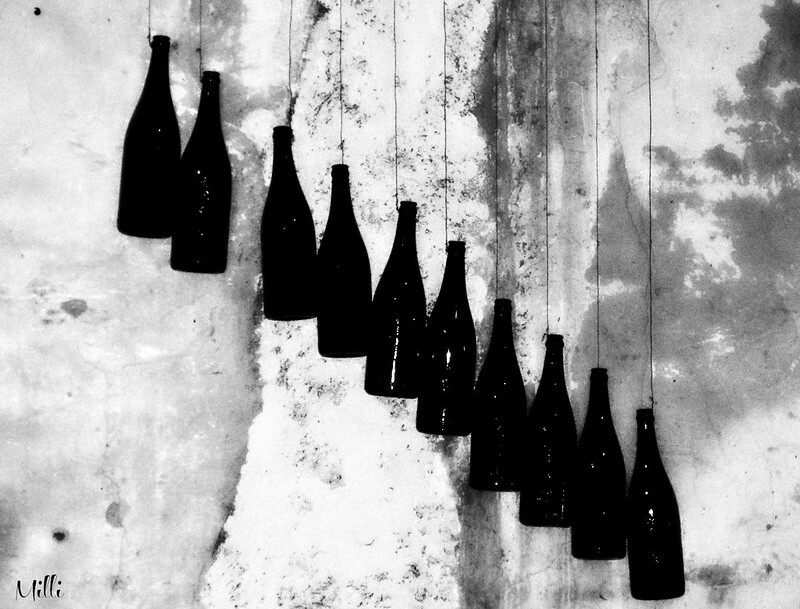 I have chosen a phrase for my Black and White photo..
" Ten Green Bottles Hanging On A Wall "
I loved this photo when I took it some time ago and I love this theme too! I like your B&W entry. Very simple, yet very artistic, Milli!